Exclusive excerpts from Sunita Narain's new book, Conflicts of Interest remind us of the politics behind climate change that threatens our common future. It was the late 1980s. My colleague Anil Agarwal and I were searching for ways to regenerate wasted common lands. We learnt that unless people benefited from these common lands, they would not keep their goats out. The forests would not regenerate. So, cooperation was essential. Cooperation required equitable distribution of the rights and benefits of these lands. We understood goats. Around the same time, in 1990, a prestigious US research institution, World Resources Institute (WRI), published its annual report. This said, for the first time, that not only did climate change impact everyone, but also that everybody was responsible for emissions that caused climate change. Their data showed that methane, which comes from growing rice or livestock (enteric fermentation or farting) was responsible for the bulk of emissions. They also showed data that developing countries contribute nearly half the emissions that cause climate change. Anil and I were blissfully unaware of these findings or the implications for the ongoing negotiations on a global agreement to combat climate change. But we were pulled into this debate. We were equally flummoxed. It seemed absurd. Our work told us that the poor were victims of environmental degradation. Here they were now, complete villains. How? With this question we embarked on our climate research journey. We were novices, the issues seemed so convoluted and faraway. The discussions on emissions and sinks floored us. But we persisted and quickly learned that there was not much difference between managing a local forest and the global climate. Both were common property resources. What was needed most of all was a property rights framework, which encouraged cooperation. One day, I remember so vividly, Anil called me from his house where he was working. ‘What is the difference between gross and net?’ he asked. Now I was lost. What was he talking about? I pulled out the WRI voluminous report. Below the ‘net’ contributions of each country, a footnote pointed to an explanation in the last pages of the book. There in small font it explained the calculations that led from the gross (total emissions of a country) to the net (emissions attributed to each country). This was politics, not science. Why? Because the methodology used by the WRI to compute the responsibility of each nation favoured the polluter. Under the WRI methodology, each nation was assigned a share of the earth’s ecological sink, but the assignment was proportional to the nation’s contribution to the earth’s emissions. The sinks are natural systems—the oceans and the forests—which absorb emissions. Global warming is caused because emissions exceed this natural capacity of the earth to absorb pollutants. the WRI had estimated that the world produced 31,000 million tonnes of carbon dioxide and 255 million tonnes of methane every year. It then estimated that the sinks of the earth, naturally assimilated 17,500 million tonnes of CO2 and 212 million tonnes of methane annually. On this basis, it then computed a net emission of each nation, by allocating a share of the sinks to each nation, based on its gross emissions contribution. In this way, if a country had a higher gross pollution, it also got a higher share of the sinks. Its net contribution got reduced. One computation changed the politics. In 1991, we published our critique of this approach, Global Warming in an Unequal World: A Case of Environmental Colonialism. We argued that there were two main types of ‘sinks’ where CO2 is reabsorbed by the biosphere: the oceans and terrestrial sinks. While terrestrial sinks, such as forests and grasslands, may be considered national property, oceanic sinks belong to humankind. They must be regarded as common global property. We apportioned the sinks on the basis of a country’s share in the world’s population, arguing that each individual in the world had equal entitlement to the global commons. This allocation, based on individual rights to the earth’s natural cleansing capacity, changed the computation of the nation’s responsibility drastically. For instance, under the WRI methodology, the US contributed 17 per cent of the net emissions of the world, while our methodology computed that it actually contributed roughly 27.4 per cent of the net annual emissions. Similarly, the contribution of China decreased from the WRI’s estimated 6.4 per cent of the net annual emissions to 0.57 per cent and India from 3.9 per cent to just 0.013 per cent of the net annual emissions. This allocation of the earth’s global sinks to each nation, based on its population, created a system of per capita emission entitlements, which taken together were the ‘permissible’ level of emissions of each country. This, we said, would create the framework for trading between nations, as a country which exceeded its annual quota of CO2 could trade with those countries that had not used up their ‘permissible’ emissions. This would create financial incentives for countries to keep their emissions as low as possible and to invest in zero-carbon trajectories. One, the world needed to differentiate between the emissions of the poor—from subsistence paddy or animals—and that of the rich—from, say, cars. Survival emissions weren’t and couldn’t be equivalent to luxury emissions. Two, it was clear that managing a global common meant cooperation between countries. As stray cattle or goats are likely to chew on saplings in a forest, any country could blow up the agreement if it emitted beyond what the atmosphere could absorb. Cooperation was only possible—and this is where our forests experience came in handy—if benefits were distributed equally. We then developed the concept of per capita entitlements— each nation’s share of the atmosphere—and used the property rights of entitlement to set up rules of engagement that were fair and equitable. We said that countries using less than their share of the atmosphere could trade their unused quota and this would give them the incentive to invest in technologies that would not increase their emissions. But in all this, as we told climate negotiators, think of the local forest and learn that the issue of equity is not a luxury. It is a prerequisite. This was the inconvenient truth. The pushback from the WRI was instant and enormous. Our study was rubbished. Our politics were ridiculed. The then head of the WRI wrote to us, saying that what we were suggesting was about politics, not science. But it did not end there. In the post (remember, this was snail-mail age) we received a mail from Kirk Smith, a professor at the East West Centre in Hawaii (now in Berkeley and leading authority on indoor air pollution in the world). Kirk explained that he had seen our report and wanted us to see his communication with the WRI on their report. His critique was based on the cumulative emissions of each country, which he said had been conveniently ignored by the WRI. He explained that if taken from 1900, then each Indian living today (1990 data) would be responsible for 6 tonnes of CO2, as compared to an American who would be responsible for 260 tonnes of CO2 . Kirk called this the natural debt of the developed world. The WRI’s response to him, published in British scientific journal Nature, said that Kirk’s suggestion was highly scientific and ‘fraught with difficulties when considered from a point of view of international diplomacy’. Their way would be more ‘appropriate for inter -national agreements’. The WRI had dismissed the CSE’s approach on the grounds that it was political rather than scientific. But in Smith’s case, its complaint was—contradictorily—exactly the opposite. This debate raged in international circles. Our publication was read and cited to explain how global climate change negotiations must be shaped through the prism of equity. We were berated by the Washington club—the powerful NGOs who determine the discourse on global issues. We continue to be on their hit list. But our politics have remained unyielding on this issue—climate change is about sharing global atmospheric space and a universal right to development. Hollywood superstar Leonardo DiCaprio visited us for a sitdown interview on climate change for his film, Before the Flood. We took him to Nuh in the Mewat district of Haryana. We wanted Leonardo to see the impact of unseasonal weather on farmers in our country. In this village, he saw acres of productive farmland that were still under water because of extreme rainfall that had hit the district in mid-September. He sat with farmers, who explained to him that they were seeing changes in weather, which was destroying their livelihoods. In the past, they said, they had seen hailstorms and unseasonal rain once in ten years. Now it was every year. They explained how their standing rabi (winter) crop was first destroyed because of hailstorm and now their kharif (summer) crop has been devastated because of extreme rain. It rained over 250 mm in just five hours, which for a district where normal rain is only some 600 mm in a year means complete loss. They did not know if this was climate change, but they told Leonardo, in no uncertain words, that their experience of over fifty years in farming was telling them that there was something new and catastrophic afoot. There was deep despair in the eyes of every farmer we met. This is the human face of climate change. Many other changes are happening in our world. In Jammu, litchis have been flowering much earlier and out of season. This is because winter is delayed and it is warmer than usual. But as the chill sets in, the flowers fall and fruit production suffers. Then there are frequent instances of unseasonal hail and bitter heat and cold that come after days of colder- or warmer-than-usual temperatures. Why this weird weather? 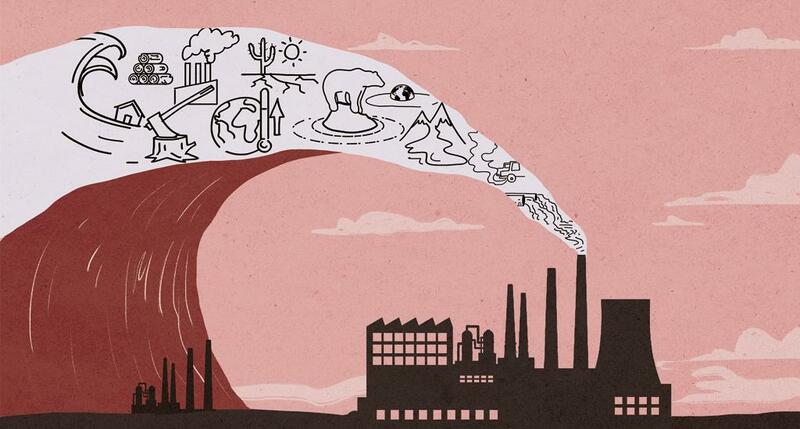 Indian scientists are extremely cautious about using the term climate change. But the fact is that it is now recognized that warming is making the world’s weather more unstable and extreme. The question is, how much? What scientists would agree to say is that even though no single extreme weather event could be attributed to climate change, the increased frequency and intensity of such weather events are definitely because of human-made climate change. Now, this science is becoming more exact. A recent paper published in Nature Climate Change finds that in the present day, warming of 0.85°C is responsible for 75 per cent of the daily heat extremes and 18 per cent of the precipitation extremes. More worrying is the conclusion that as the temperature increases to 2°C above pre-industrial levels—which is likely today, given the lack of global action to cut greenhouse gas emissions—40 per cent of rainfall extremes will be linked to human-made climate change. This is when we know that the subcontinent’s weather pattern in general and the monsoon in particular is not only this country’s real finance minister, but it is also truly the most globalized Indian, with connections across the globe. It is deeply connected to ocean current and winds from the Pacific, the Arctic and the neighbouring Tibetan Plateau. The problem is that the monsoon is also the most under-studied and least understood of all weather phenomena. So, it is globally interconnected, complex and it is confounding in ‘normal’ times. Now climate change is increasing the level of complexity. It is making it even more difficult to read. But many theories point to changes that are beginning to show up. R. Krishnan of the Pune-based Indian Institute of Tropical Meteorology says that pronounced warming over the Tibetan Plateau has increased the instability of westerly winds. This would explain the increased variability of western disturbances. Another theory links these disturbances to the growing instability of the jet stream—strong winds that blow from west to east and separate the cold Arctic mass from warm subtropical air. This is linked to the warming of the Artic. What is most worrisome—indeed, frightening—is the prospect that climate change could have a long-term impact on the monsoon. We know that the monsoon—this huge movement of water from over the oceans to the Indian landmass—happens because of the temperature difference between the oceans and the land. The land is warmer and the ocean cooler. But now, there is some research to show that this contrast could be weakening. The Indian landmass is showing signs of suppressed warming—it is not clear why. And the Indian Ocean is showing signs of large warming. If this continues to happen, then land would not pull water-laden winds from the oceans as strongly as before. The Indian monsoon would be weaker. But this is also combined with the fact that warming climate means that the atmosphere can hold more moisture and this could mean more extreme rain—more rain, but fewer rainy days. So, it is not clear if it will rain less or more. All this points to catastrophic changes in the future. And one thing is clear—we cannot continue to deny these long-term changes, which will have potentially huge and catastrophic impacts on our economy and our agricultural system. It is because we refuse to accept (at least publicly) that there is anything strange afoot that we are also not putting into place systems that would improve the resilience of farmers and our ability to cope with variable and extreme weather. All this is also linked to the inconvenient fact that scientists who study the weather or understand the monsoon are treated with contempt or at least neglect by the scientific establishment. Just think, can you even name a monsoon scientist? Just think, has the government ever recognized a monsoon scientist? The answer is no. Instead, what will spring to your mind when you think of Indian science are the macho scientists who have taken us to space or worked on nuclear science. All this may be important, but it is time we recognized that the icons of today’s science have to be different—those who make us see the future are those who will make us understand the monsoon. This is what will determine our survival. So, what does mitigation mean? To combat climate change, the world has to get rid of its fossil fuel addiction. Nothing short of this will help. But as yet, the world has found small answers to existential problems. The industrialized world is still locked into coal or gas. The share of renewable energy has grown, but not in ways that make the energy transformation. No country is talking about limiting consumption. This is when every analysis proves that efficiency is part of the answer but it is meaningless without sufficiency. Cars have become more fuel-efficient but people just drive longer and have more cars. Emissions continue to grow. What then is the way ahead? First, we must accept that the rich world must reduce emissions drastically. Let there be no disagreements or excuses on this matter. There is a stock of greenhouse gases in the atmosphere, built up over centuries in the process of creating nation’s wealth. It is a natural debt. This has already made our climate unstable. Poorer nations will now add to this stock through their urge for economic growth. But that is not an excuse for the rich world not to take on tough and deep binding emission reduction targets. The principle has to be that they must reduce so we can grow. The second part of this agreement is that poor and emerging rich countries need to grow. Their engagement will not be legally binding but based on national targets and programmes. The question is to find low-carbon growth strategies for emerging countries, without compromising their right to develop. This can be done. It is clear that countries like India provide the world with the opportunity to ‘avoid’ additional emissions. The reason is that we are still in the process of building our energy, transport and industrial infrastructure. We can make investments in leapfrog technologies so that we can avoid pollution. In other words, we can build our cities on public transport; our energy security on local and distributed systems—from biofuels to renewables; and our industries using the most energy-efficient technologies. We know it is in our interest not to first pollute and then clean up; or first to be inefficient and then to save energy. But we also know that the technologies that exist are costly. It is not as if China and India are bent on first investing in dirty and fuel-inefficient technologies. We invest in these, as the now rich world has done—first add to emissions, then make money and then invest in efficiency. ‘The big bad wolf will come.’ This is what has dictated the global climate change narrative for so long. The world has tiptoed around actions that need to be taken at a certain speed and scale to curtail emissions; global agreements have been bent out of shape to appease climate change deniers. And in Paris, the world literally scraped the bottom of the barrel to tie up a weak and unambitious agreement to control climate change. All this, because it believed that doing anything more would get the opposition, particularly in the US, riled up. As a result, the US has made the multilateral world change rules and reconfigure agreements, mostly to reduce it to the lowest common denominator. Then, when the world stitched together a weak and worthless deal, the US walked out of it. All this while, its powerful civil society and media has hammered home the point that the world needs to be accommodating and pragmatic. ‘Our Congress will not accept’ or, worse, ‘Republicans will come’ has been the common refrain. This happened in 1992, when in Rio, after much ‘accommodation’, the agreement to combat climate change was whittled down, targets were removed and there was no agreed action. All this was done to bring the US on board. But it walked out. Then came the Kyoto Protocol, the first and only framework for action to reduce emissions. Here again, in December 1997, when climate change proponents Bill Clinton and Al Gore were in office, the agreement was reduced to nothingness—the compliance clause was removed, cheap emission reduction added and loopholes included. All to bring the US on board. Once again, they rejected it. Then came Barack Obama and his welcome commitment to climate change actions. But what did the US do? It made the world completely rewrite the climate agreement, so that the targets are based on voluntary action, not science and the contribution of each country. Each country is allowed to set targets based on what they decide they can do and by when. It has led to weak action, which will not keep the planet temperature rise below 2°C, forget the guardrail of 1.5°C. This was done to please the Americans, who said they would never sign a global agreement which binds them to actions or targets. Paris, fatally and fundamentally, erased the historical responsibility of countries and reduced equity to insignificance. At all times, we have censored the truth of the urgency of climate change, the need for effective and drastic action by the more powerful and rich countries and the need to curtail emissions by curtailing or changing lifestyles so that efficiency gains are not lost because of more consumption. The world has restrained its language so that it could get the participation of the most unwilling—the proverbial big bad wolf. There is no doubt that Donald Trump is just another shade of this grey. He denies that climate change is happening. He is also certain that the US needs to dig more coal, build more power plants and do everything to ramp up production, which will increase greenhouse gas emissions. He has declared that his country rejects the very idea of controlling emissions. What do we do now? This is the zillion-dollar question. Climate change is happening as seen in extreme weather events. It is impacting the poorest in the world, the ones who have least contributed to the stock of emissions in the atmosphere. Will the world now call a spade a spade? Or will it engage in more meaningless censorship so that it woos the undesirable and, in my belief, unchangeable? I cannot speak for the US civil society, which seems to relish its beltway games. But I do know that we have no option but to push for greater attention and action on climate change. Our priority in India is to reinvent growth without pollution: to find ways to urbanize without first investing in private transport systems and then investing in cleaning up the air and to find ways to provide the energy-poor with clean power without first investing in electricity grids that do not reach them. These are our imperatives. Countries like India have the opportunity to do growth differently and we must. But it is also a fact that the coming of Trump will make it harder for all environmentalists, particularly those working in the emerging countries, to argue that we must do something different. The protectionist agenda will push against globalization and encourage all to dig deeper and harder to get to the last lump of coal to burn. Forget the climate change crisis. It is tomorrow’s problem. Let us be clear. The challenge of climate change is a make-or-break situation for the world. It forces us, perhaps for the very first time in our history, to realize that we live together on one earth. It tells us that there are limits to growth, and more importantly, that growth will have to be shared among all. Ultimately, we cannot share a vision for how the world will combat climate change unless we are prepared to share the common atmospheric resources of the world. The big question is whether we will prove to be up to the challenge. The answer is that we have no choice. The 23rd session of the Conference of Parties (COP), hosted by Fiji (the first island state to preside COP) and held in Bonn from November 6-17, 2017, was largely-anticipated to be a technical one to continue the progress on making the “rulebook” for the implementation of the Paris Agreement, which becomes operational by 2020. It was also the first COP since the Donald Trump administration announced its intention to withdraw from the Paris Agreement. The Paris Agreement has a lock-in period of four years and the US technically cannot leave the process before 2020. Besides, in his typical style, President Trump is yet to submit the instrument of withdrawal to the UN to formally kickstart the process, evidently to try and renegotiate the terms of the agreement. The US’ desire to pull out of the Paris Agreement had no legal or political bearing in the cop negotiations. Civil society groups like the Pan African Climate Justice Alliance objected to US presence in the negotiations, the objections nevertheless were marginalised. It was business as usual in the negotiations as far as the US was concerned. By the end, it had become clear that the US would be impeding consensus in several issues including the critical one of finance and financial accounting of commitments. Developing countries, on their part, asserted the inaction in the pre-2020 commitments on the part of developed countries in terms of emission reductions and financial assistance of US $100 billion by 2020, including their non-ratification of the Doha Amendment—which was signed in 2012 for raising the ambition of emission cuts but is yet to come into force as 60 signatures are still pending—of Kyoto Protocol. However, the US and the EU jointly opposed the inclusion of pre-2020 climate actions in the Agenda and successfully managed to delay any meaningful conversation until next year. The final COP decision in Bonn, being hailed as a big win by developing countries, has a section on pre-2020 actions and includes two “stocktakes” of pre-2020 action in 2018 and 2019 and placed it as an element of discussions at next year’s “Talanoa Dialogue” (a platform for inclusive stakeholder dialogues aimed at increasing the ambition of emission cuts). One cannot deny that this “political win” cost precious time and comes too little too late. According to the current plan, developed parties will have 18 months at most to meet their pre-2020 commitments, an improbable task looking at their track record in Kyoto Protocol. 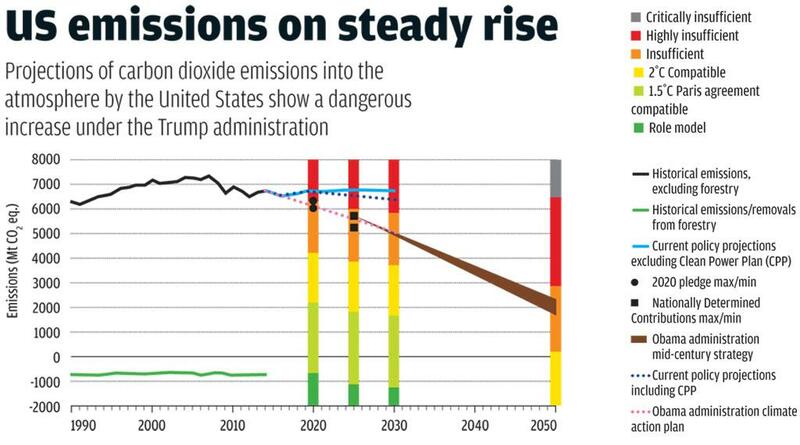 The Trump administration has repealed, revoked and cancelled most of the previous government’s policies including the Clean Power Plan (CPP) and its 2010 Cancun target of 17 per cent emissions cut by 2020 against 2005 levels would be unmet as per analysis (See ‘US emissions on steady rise’, p40). India and China along with EU are on way to achieve their pre-2020 emission targets as per various analyses—including the Emission Gap Report, 2017. The cumulative impact of Cancun Pledges takes us to 12 to 19 per cent reduction of emissions below 1990 levels, the requirement being 25 to 40 per cent. Pledges, therefore, need to be ratcheted up. However, the focus of developed countries is now on post-2020 climate actions and pre-2020 actions have been ignored. In addition, emission big boys like US, Russia, Japan and Canada are not even a part of the Doha Amendment. 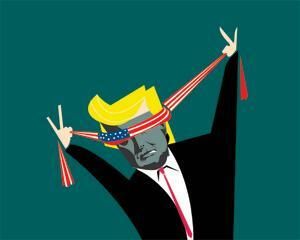 The US, expectedly, continued to play chief obstructionist especially in discussions around financial reporting, increasing ambitions and the transparency framework—making strong interventions that differentiation would not be an option. Even though the Paris Agreement mentions conducting global stock take “in light of equity”, as understood to be equity between countries having elements of responsibility and differentiation, the US does not support any discussions held along these lines. Transparency negotiations under the Paris rulebook cover how compliance will be monitored, in line with the “enhanced transparency framework” set out by the Paris Agreement. Similarly, transparency framework talks of “flexibility”, which has been interpreted as linking to differentiation. The US has made it clear that it wants common rules, modalities and standards for accounting for all countries with no element of differentiation. A veteran negotiator, on condition of anonymity, confirmed that there is a strong possibility of the US aligning with Japan, Canada and Australia to push its agenda without having to do much work in the negotiation. The Japan-United States Strategic Energy Partnership for promoting coal and nuclear technologies in the Southeast Asian region is another clear indication that the US would continue to have its way. Regarding the addressal of loss and damage associated with climate change, Australia, supported by the US, blocked discussions on increasing financial resources for Warsaw International Mechanism (WIM) and exploring new sources of finances to help countries deal with climate-induced loss and damage. WIM, established in 2013, has a crucial mandate of support component, which, as of now, has mobilised no money under loss and damage. It was discouraging to see the Indian delegation having no clear position on this crucial issue even though India is one of the worst-affected nations. Overall, the progress during the year’s COP was sluggish and marred constantly by useless distractions. Parties have held only preliminary discussions on all contentious issues, captured in the informal notes prepared for all agenda items. After the Bonn Summit, Parties now have only about three weeks of negotiation time to finalise and come up with a rulebook on all issues for the implementation of the Paris Agreement. Now an extra round of negotiations, in addition to next year’s inter-session in April-May and COP in Poland in December, has been planned to catch up but there is so far no clarity on the dates. TALANOA DIALOGUE: It is about stocktake of the collective efforts, the outcome of which would determine the next round of Nationally Determined Contributions (NDCS) in 2020. The Dialogue also intends to have inputs from non-Party stakeholders and talks of a creation of an online platform for submitting the inputs. AGRICULTURE: After six years, a decision was finally taken on how to deal with climate actions in agriculture. A stocktake has been planned for COP26 in 2020. GENDER ACTION: A decision was arrived recognising the role of women in climate actions and empowering them. INDIGENOUS PEOPLE'S PLATFORM: The platform to include indigenous people’s voices in the implementation of the Paris Agreement has been operationalised. It will facilitate the incorporation of the diverse and traditional knowledge in inter-national and national climate action policies. LOSS AND DAMAGE: This issue needs to acquire more political space in the negotiations. A final text did come through but was toothless. POWERING PAST COAL ALLIANCE: The alliance was launched by the UK and Canada and joined by 20 other countries and sub-national actors, excluding major coal users like China, India, Poland, Germany and the US. While Parties would struggle to agree on a rulebook by 2018, the big question also is how to make the Paris rulebook fair and equitable with the US still active and obstructionist in the negotiations for at least three more years. In fact, many Parties are hopeful that the US could rejoin the Agreement as was also reflected in the statement of Judith Garber, Acting Assistant Secretary for Oceans and International Environmental and Scientific Affairs, US. “President Trump has made clear the US position with respect to the Paris Agreement. Although he indicated that the United States intends to withdraw at the earliest opportunity, we remain open to the possibility of rejoining at a later date under terms more favourable to the American people,” she said in her statement. It is almost certain that 2017 will end as the warmest non-El Niño year and it will likely join 2015 and 2016 as among the three hottest years on record. The American coast and the Caribbean were battered for the first time ever by three major and high-impact hurricanes (> category 4) in a single season this year. As per the National Oceanic and Atmospheric Administration in the US, the country faced 15 weather and climate disasters in 2017 until October, each one of which caused losses exceeding $1bn. Similarly in Europe annual losses from climate-related events are estimated to be more than $14bn. Southern Europe, parts of South America, Australia and the US were affected by wildfires that raged on for days due to record high temperatures and strong wind patterns. 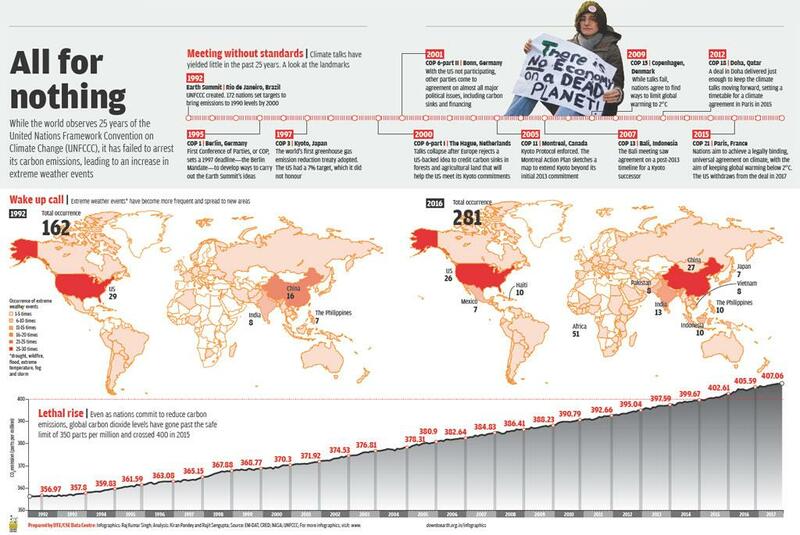 India has now emerged as the fourth most vulnerable country in the world. This year, it experienced frequent floods partly by a shift in monsoonal wind patterns, especially in the regions of Gujarat and Rajasthan which are known for a paucity of rainfall. The South Asia flood in August-September left 1,200 people dead across India, Nepal and Bangladesh. In the final analysis, it can be said that the Bonn Summit delivered too little progress considering what the world has been subjected to in terms of climate-induced damage in 2017. With the United Nations Framework Convention on Climate Change completing its silver jubilee year as the global platform to address climate change, it has fallen extremely-short of its objectives and principles and questions need to be raised on whether it will ever deliver on its main objective of addressing climate change and what can be the other alternatives, if any. A CHANGING CLIMATE is inevitable. But the rate at which this has happened in the past 50 years is unprecedented. The realisation that human activity might have something to do with climate change struck scientists in the 1980s. This decade witnessed the discovery of the ozone hole, further research on glacial melting and rising sea levels. The developed West, the US and the European Union also started experiencing frequent spells of heat waves and warmer summers during this decade. As the link between human activities and rising temperatures gained greater attention, a need was felt for more rigourous research on the subject. As a result, the Intergovernmental Panel on Climate Change (IPCC) was established jointly, in 1988, by the World Meteorological Organization (WMO) and the United Nations Environment Programme (UNEP), following a resolution passed by the UN General Assembly. The IPCC’s First Assessment Report (AR1), in 1990, established with greater certainty that reckless and unchecked human activities resulted in huge emissions of carbon dioxide (CO2) in the environment. 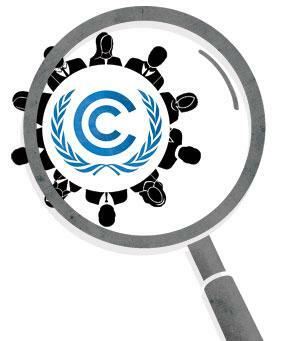 Till date, the IPCC has come out with five comprehensive assessment reports in the years 1990, 1996, 2001, 2007 and 2013. As scientific evidence of human-induced climate change that had been trickling in for a while became difficult to ignore at the Earth Summit in Rio in 1992, the UN embarked on a historic mission to set rolling a collaborative effort among the nations of the world to tackle this global problem together. The United Nations Framework Convention on Climate Change (UNFCCC) was created in 1992 and came into force in 1994. The stated objective behind the creation of UNFCCC was simple: to stabilise the emission of greenhouse gases (GHG) responsible for trapping heat in the Earth’s atmosphere within a time frame that allowed ecosystems to adapt naturally to any changes in climate, to assure that food production would not be threatened and to ensure that “economic development proceeds in a suitable manner”. The two defining principles of UNFCCC are equity and Common but Differentiated Responsibility and Respective Capabilities (CBDRRC) mentioned in Article 2 of the text. These two principles are the basic themes around which the framework of climate change regime is woven. However, upon completing its 25th year, it seems that the UNFCCC has compromised on its principles and failed to fulfil its objectives completely. The UNFCCC “recognises that the largest share of the historical and current global emissions of GHG originated from the developed countries”. It mandates that the developed countries (referred to as Annex-1) help the developing countries (referred to as Non-Annex 1) with finance and technology in their efforts to switch over to low-carbon economies. Over the years, however, equity has been heavily weakened and the promise of helping developing countries has been largely unmet. Moreover, climate negotiations have seen the developed world conveniently shrug off their “historical responsibility” and put the onus of addressing climate change on poor developing countries. Despite its objectives, the UNFCCC could not establish clear targets for the abatement of GHG emissions and decide on commitments for developed countries. The Convention also did not provide a timeline for meeting targets or penalty for non-compliance. These issues were addressed at subsequent Conference of Parties (CoP), and finally resulted in the signing of the Kyoto Protocol in 1997. Though the Kyoto Protocol was agreed upon, the US was extremely apprehensive of its legal and scientific validity. It never agreed to the Kyoto model of burden sharing based on the concept of “polluter pays”, as the onus would be on it to act responsibly for historically being the largest contributor of fossil fuel emissions globally. The protocol was primarily responsible for reducing the level of ambition of cutting emissions to 5 per cent against the 1990 levels during the first commitment period between 2008-2012. Science, on the other hand, recommended a target of at least 12 per cent emission reduction. The US government asserted that the reduction of carbon emission under the Kyoto targets would interfere with its development, and thus, maintained that the Protocol was anti-development. Moreover, it wanted the emerging economies like China and India to have legally-binding commitments as their carbon emissions were growing rapidly. Despite these apprehensions, the then Clinton administration had a major hand in framing the basic blueprint of the Protocol and even showed signs of ratifying it. However, with the election of George Bush as president, the US stuck to its non-compromising stand on development and demanded binding commitments for China and India. When this could not gain momentum, the US under President Bush pulled out of the Kyoto Protocol in 2001, calling it “unfair”. Following the US withdrawal, the Protocol finally came into effect in 2005. Citing similar reasons, Canada also pulled out of the Protocol in 2011. The UNFCCC Kyoto Protocol compliance report shows that 36 countries, which were obliged to meet the Kyoto commitments, had a poor record. Seventeen out of the 36 nations failed to meet their targets. There was also no money that was put on the table to help developing countries. The Kyoto regime had thus failed miserably on all accounts. The 2007 Bali Summit had made it evident that rich countries were for voluntary targets in the new regime to be formulated in Copenhagen based on their choice and not based on what they “should” do. It was also clear that the world readily agreed to follow the US approach to address climate change which was based on voluntary emission reductions. The hugely-hyped Copenhagen summit in 2009 was marked by secret, closed-door meetings among developed countries to subvert negotiations and prevent the formation of a fair and effective deal. This resulted in distrust and lack of confidence in the process among developing countries. The summit, rightly referred to as (Flop)enhagen summit by the media, resulted in no deal but just a political accord which called for nothing more than “voluntary” actions to reduce emissions by all countries. There was also an announcement of US$ 30 billion in fast track finance and US$ 100 billion annually by 2020 in finance for adaptation and mitigation—an undertaking which remains unfulfilled to this day. This voluntary “pledge and review” system that was formally adopted in Cancun in 2010 allowed all countries, developed and developing, to set their own domestic targets in the form of pledges. These would be measured, reported and verified, but would not invite penalties, if they were not met. The US was the clear winner in the deal. 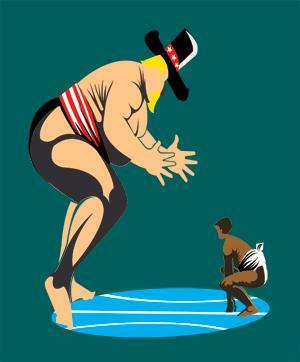 In fact, pledges by developing countries at Cancun were greater than those of the developed countries. At the same time, the developing countries ceded their demand for a fair share in the global carbon budget. At the Durban Summit in 2011, the ad hoc working group on Durban Platform for Enhanced Action was created to come up with a deal in 2015 that would become operative in 2020. The new deal “would be applicable” to all the Parties under the UNFCCC. While developing countries led by China and India argued that the enhanced action should be applicable in accordance with equity and differentiation, the developed countries opined that differentiation was from the Bali Summit period and the new agreement must reflect new realities, which essentially meant that all countries should make commitments. Additionally, a work stream was created for upscaling climate targets before 2020. A second commitment period of the Kyoto Protocol was also decided till the new climate deal came into effect in 2012 in Doha. The word equity was inserted in the Durban outcome primarily because of the diplomatic efforts by India. However, since then, India though a champion of equity, has failed to give any convincing approach to operationalise it. The 2013 Warsaw Summit further diluted equity by proposing Intended Nationally Determined Contributions (INDCs) or climate actions plans as part of the new climate regime. It also established the Warsaw International Mechanism for loss and damage, a long standing demand of developing countries. However, as things stand, moving loss and damage to a highly-specialised technical stream has led to the issue being neglected. Post Warsaw, a new diplomatic reality has seemed to emerge. To break the impasse, the developed world has sided and collaborated with China for the new climate agreement, isolating India in the process. In fact, India has been often accused as being a barrier to the outcomes of negotiations. It has also been criticised on the issue of equity, primarily because it has not successfully defended its position since the Durban Summit. Rather, India ardently advocated historical responsibility as the approach to operationalise equity, which has failed to find acceptance. Ahead of the Paris Summit, 80 per cent of the Parties submitted their INDCs which were far from sufficient in restricting temperature to safe limits. A UNFCCC report on INDCs, which came soon after, pointed out that the INDC pledges would take the world beyond 30 Celsius warming by the end of the century. The Paris Agreement, adopted in 2015, is a decentralised regime of which INDCs form an important component, with no quantified targets for reductions or support commitments—courtesy the US government. Loss and damage has a separate section, but is not subjected to liability and compensation by developed countries, also because of US insistence. The blueprint of the Paris Agreement is weak and has been largely crafted by the US. The review mechanism provides some centralised character to the regime. However, it talks of assessment of collective progress, implying that historical responsibility has been deleted forever. Justice and sustainable lifestyles are mentioned in the preamble with no agreed definitions to them. The procedural aspect of the commitments in terms of submitting INDCs are binding but the commitments by themselves are voluntary and are not subject to penalty in case of non-compliance. On the whole, the Paris treaty is unambitious, and though it mentions that it functions under the Convention, it fails to honour and respect its principles. The ratification of the Agreement coincided with the election of Donald Trump, a strong climate skeptic, as the US president. This was followed by a series of steps taken by the Trump administration in pursuit of its anti-climate and pro-coal agenda. Even after the announcement by the Trump administration of its intention to pull out of the Agreement, the US continues to advance its interests in the climate agenda. By acting as an irresponsible and rogue player in climate issues, the Trump administration has greatly undermined the spirit and goals of the Paris treaty. In 25 years, the UNFCCC implementation has been non-inclusive, where the rights of developing countries have been cleverly subverted by the rich. The US has been the unequivocal dictator within all agreements, first Kyoto and then Paris and the rest of the world has been tricked to follow its approach to addressing climate change—voluntary participation in climate addressal with extremely limited scope of equity and differentiation. The UNFCCC’s primary objective of stabilising greenhouse gases in the atmosphere is in shambles. According to the latest statistics published by the PBL Netherlands Environmental Assessment Agency, at the end of September 2017, GHG emissions, far from stabilising, have risen by around 60 per cent compared to levels in 1992. The extent of annual carbon dioxide (CO2) emissions, the most common GHG in the atmosphere, has also kept pace with this increase, going up from 22.7 gigatonnes in 1992 to 36.2 gigatonnes in 2016, as per the latest estimates provided by the European Commission. The per capita CO2 emission has also seen an increase of about 17 per cent from 4.09 tonnes to 4.79 tonnes. Of course, this number hides the vast variation in the numbers for individual countries with a clear and visible gulf between developing and developed countries. Atmospheric concentration of CO2 has increased by close to 50 ppm (parts per million) from 356 ppm in 1992 to 403 ppm in 2017. The WMO has noted that the increase of about 3 ppm in the last year has been the largest increase ever seen. 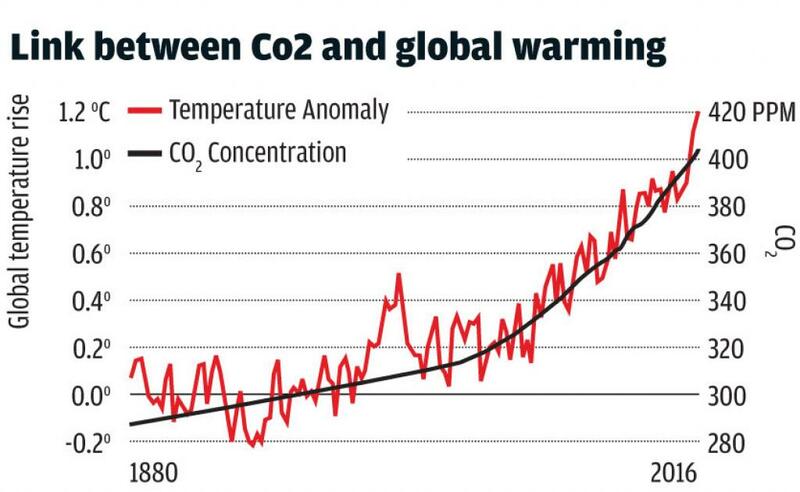 Along with increase in CO2 concentrations, temperatures too have steadily climbed. While a warming of just around 0.250 Celsius was observed in the early 1990s, that number has now crept past the 1.10 Celsius mark with increases in maximum temperatures going even beyond the 1.50 Celsius mark as compared to pre-industrial levels, mentioned in the Paris Agreement as an ideal target. The impacts are clear. Death knells have been sounded for critical and sensitive ecosystems, including the Arctic ice sheets, the Amazon rainforests and the Great Barrier Reef, all of which have seen tremendous rates of decline in the past 25 years. The second stated objective of ensuring the protection of food production systems and sustaining food security is quickly dissipating into smoke. As climate and weather have become increasingly unpredictable around the world, food systems, especially in vulnerable countries, have been impacted greatly. Ocean-based food systems, on which close to a billion people depend, rely on estuaries and reef systems that stand to be damaged irreversibly by rising sea levels and increasing levels of acidity in the oceans. By 2030, a 10 per cent drop in rice yields is expected in South and Southeast Asia. If models are to be believed, weather forms only one part of the burden on food systems. Water stress due to successive droughts is likely to exacerbate already poor prospects. By 2050, reductions in yields are expected to extend to wheat and maize. Apprehension is rife that catch from the oceans too may reduce by up to 60 per cent owing to habitat destruction, dwindling populations and fish migration. By 2100, models have predicted that temperature increases in the tropics might exceed 40 Celsius, the biological limit for several food crops. Despite these realities, it took 20 years for any discussion to begin at the global forum and a further five years for any decision to be taken. If the UNFCCC performance is anything to go by, only the economic consideration has been looked into. Unfortunately, this means the platform on climate change has been a failure in terms of its environmental objectives. This is a landmark year. It is the 30th anniversary of the Montreal Protocol and the 25th anniversary of UNFCCC. At this juncture, it is important to assess what these two most important Multilateral Environmental Agreements (MEAs) have delivered. 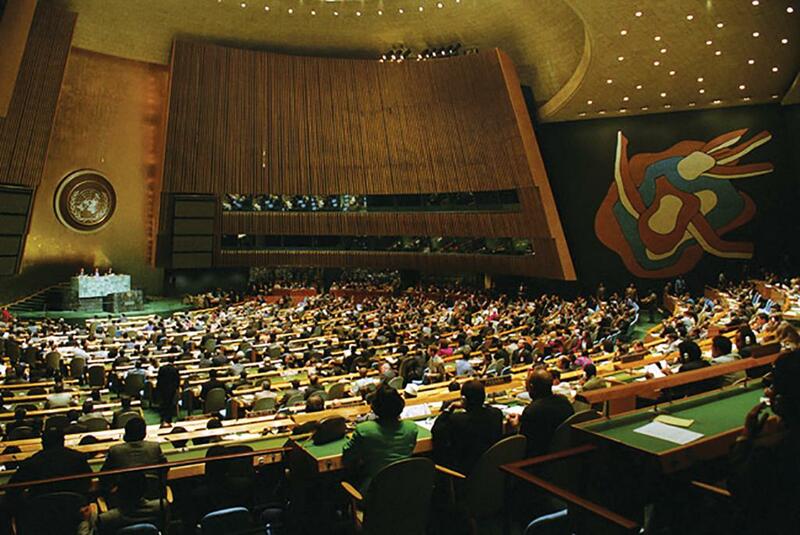 The learnings are extremely important to reshape the multilateralism for the next 25 years. On delivery, it is generally believed that the Montreal Protocol has delivered on its objectives of significantly-reducing ozone depleting substances, despite few MNCs peddling patented intermediary substitutes when environment friendly alternatives were available. The overall picture is that the ozone hole is showing signs of healing. In addition, it is estimated that while eliminating ozone depleting substances like CFCs and HCFCs, Montreal Protocol has led to the reduction of 130-135 billion tonnes of CO2 equivalent (CO2e) emissions. UNFCCC on the other hand has little to show. In fact, the total greenhouse gas (GHG) emission reduction from selling carbon credits under the Clean Development Mechanism totaled just 1.9 billion tonnes CO2e—65 times less than Montreal Protocol. Seven years before UNFCCC, in 1985, the Vienna Convention for the Protection of the Ozone layer was signed. Montreal Protocol was signed in 1987, a full 10 years before the first protocol of UNFCCC—Kyoto Protocol—was signed. Since then, Montreal Protocol has survived. It has gone through multiple amendments to phase-out different kinds of ozone-depleting substances, the last one being in 2016 called the Kigali amendment to phase-down HFCs, a potent GHG. In comparison, Kyoto Protocol is more or less dead. Instead, there has been a Cancun Agreement and then a Paris Agreement to “replace” the Kyoto Protocol. So, one conclusion that clearly emerges is that while Vienna Convention and Montreal Protocol have main-tained continuity, UNFCCC has not been able to do so. To understand this, one has to understand the preamble underpinning these two MEAs. While Vienna convention and the Montreal Protocol recognise the common responsibility and respective capabilities of countries, UNFCCC is based on common but differentiated responsibilities and respective capabilities (CBDRRC). In other words, Montreal Protocol recognises that developed countries have more capability to address ozone-depletion compared to developing countries that need support of the developed countries through finance and technology transfer. In addition, both developed and developing countries have obligations to phase-out ozone-depleting substances. But developed countries have to move first and the developing countries later. In UNFCCC, developed countries have been made responsible for historical emissions and hence are obligated to support developing countries to “compensate” for the carbon space they have occupied due to past emissions. Thus, under the Kyoto Protocol only developed countries had obligations to reduce emissions; developing countries had none. This difference of “historical responsibility” is at the core of why Montreal Protocol continued and Kyoto Protocol died. Over the last 20 years, it has been the singular focus of the developed countries to erase their historical responsibility for global climate and demolish the CBDRRC principle. And they have been quite successful in that. But in doing so, they have fatally-weakened UNFCCC. Take the case of the historic Paris Agreement on climate change. 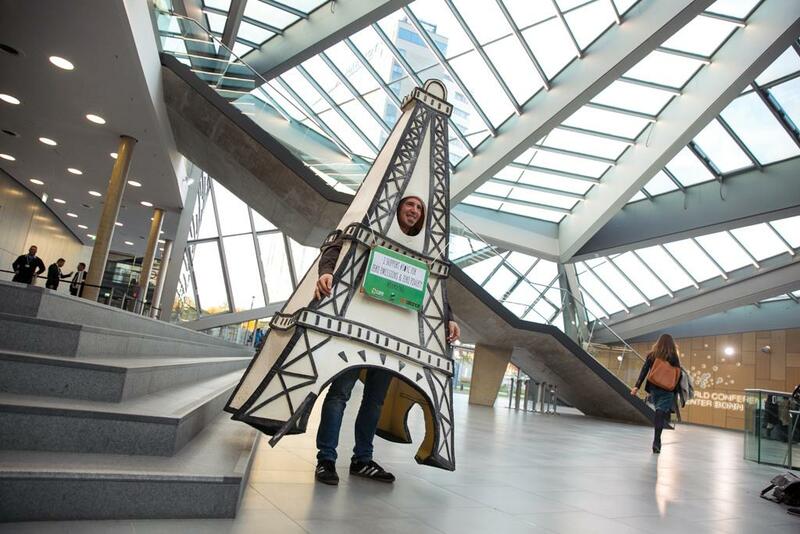 It has ushered in a mechanism under which countries are free to choose their climate targets. Developed countries are no longer required to significantly cut their emissions because of their past misappropriation of carbon space, or pay for loss and damage suffered by developing countries due to climate change. The Paris Agreement has made sure that from now on, the burden of cutting emissions, as well as paying for the impacts of climate change, has decisively shifted to developing countries. Most importantly, although this agreement promises to keep the temperature rise between 1.5°C and 2°C, it is leading the world towards a temperature trajectory of 3°C and more. Now, with the US withdrawal from the Paris Agreement, the very future of this historic agreement is in doldrums. Many at the Montreal Protocol argue that small and focused MEAs would deliver compared to a big umbrella negotiation. They give the example of the Kigali amendment. Kigali amendment is the first legally-binding climate treaty of the 21st century. While there are no mandatory emission reduction targets for any countries in the Paris Agreement, there are mandatory phase-down schedules for all countries under the Kigali amendment. Under the Kigali amendment, developed countries will start reducing the use of HFCs first followed by China and India. This amendment is a highly-differentiated agreement and is a reflection of the capability of countries to solve climate change issues. In contrast, the Paris Agreement is self-differentiated under which the historically largest polluter, the US, will cut less emissions than the EU. In totality, while the Kigali amendment will reduce 80 billion tonnes CO2 equivalent and more or less eliminate the use of HFCs, the Paris Agreement presently only adds up to meeting one-third of the emissions cut required to meet the 2°C target. So why a smaller focused MEA is able to deliver? 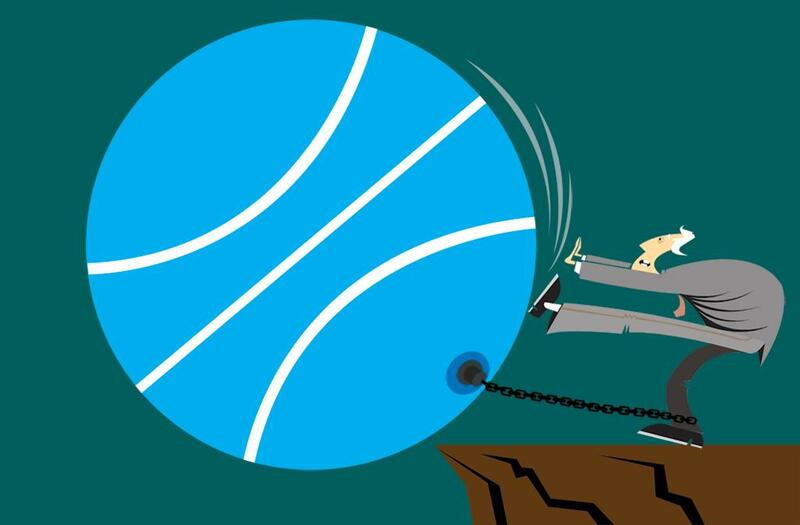 Firstly, UNFCCC negotiations are far more complicated as they affect the whole economy. The negotiations under the Montreal Protocol are simpler as only a group of GHGs, used only in specific industrial sectors, is affected. Secondly, unlike UNFCCC, where the negotiations are conducted by “generalists”, under the Montreal Protocol negotiations are carried out by experts. So, the science, economics and politics are clearer at the Montreal Protocol than at UNFCCC. Thirdly, Montreal Protocol negotiations involve a small group of people from the same field, making them manageable. Also, unlike at UNFCCC, the civil society, industry representatives and experts can participate in the Montreal Protocol negotiations. Hence, the outcome of such negotiations is less contested. Lastly, because every country is represented by a small group of people during negotiations, there is more flexibility and getting a consensus becomes easier. Considering the above, it is worth asking whether climate change negotiations should take place under one umbrella of UNFCCC or it should be bifurcated under smaller “sectoral” negotiations. The history of the past 25 years shows that UNFCCC can never be ambitious and equitable simultaneously. So, how do we change this so that we have an ambitious outcome? First of all, the climate change negotiations have to move beyond “historical responsibilities”. During the negotiations in the 1990s this was an apt concept to operationalise environmental justice. But today it has been diluted to an extent that it is meaningless. In addition, over the past 25 years, many developing countries have grown richer with higher income, higher emissions and more capability to address climate change. The rationale to keep countries like China, Saudi Arabia, Kuwait and South Korea under the bracket of developing countries is no more valid. Therefore, the future climate change negotiations should be based on capabilities and a graduation principle under which developing countries should take more responsibility once they cross a certain threshold of emissions or income. Secondly, we will have to shift the negotiations from bigger platforms like UNFCCC to smaller “sectoral” negotiating platforms. These negotiations would be connected to the real world and would be negotiated by sectoral experts with clear understanding of national circumstances. UNFCCC can still keep the focus on the big picture and deal with cross-sectoral issues, but the substantive negotiations should move to the smaller platforms. The bottomline is that the current UNFCCC negotiations are a make-believe world with little relevance to ground realities. We can’t afford to have make-believe negotiations for the next 25 years. (This story appeared first in the 1-15 December issue of Down To Earth).